at Sanchika shoppingmall in kobe. 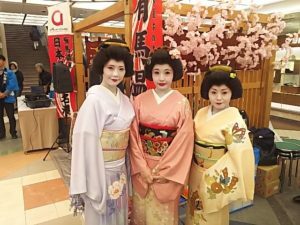 Many of geisha joined this event!! Of course, I will bring disable person by care-taxi.